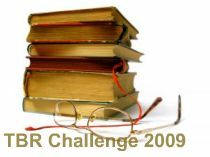 I love themed book challenges but 2009 did not offer a challenge of that nature so I was about to create my own challenge when I ran into AvidBookReaders TBR challenge. There is one hitch... There is a specific day to post the reviews… I guess that might be a problem but I’ll wing it and see how things go. 1. Read a minimum of 9 books first published in 2009. You don’t have to buy these. Library books, unabridged audios, or ARCs are all acceptable. To qualify as being first published in 2009, it must be the first time that the book is published in your own country. For example, if a book was published in Australia, England, or Canada in 2008, and then published in the USA in 2009, it counts (if you live in the USA). Newly published trade paperbacks and mass market paperbacks do not count if there has been a hardcover/trade published before 2009. Any questions on what qualifies? Just leave a comment here, and I’ll respond with the answer. 3. At least 5 titles must be fiction. 4. Crossovers with other challenges are allowed. 5. You can add your titles as you go, and they may be changed at any time. 6. Sign up below using Mr. Linky. Update: I have completed this challenge although I have not reviewed many of the titles. Some challenges are just great to motivate you and others make you resent having to read. I take challenges to be in the first group and so I decided to join just as many challenges this year as in 2008 but with fewer restrictions. Read 9 books each in 9 different categories in 2009. 1. Challenge runs from January 1 through December 31, 2009. 2. Choose 9 categories of your own that you would like to read 9 books EACH in. 3. You will be allowed 9 overlaps (books that fit into more than one category). 4. You may overlap your titles with any other challenge. 5. You may change your list or your categories at any time. Some categories are easier to fill up while others will remain open until I run into a book that might fit the bill. I have decided to break up this post on challenges so that each challenge will have it's own link. Keep your eyes out for the other challenges. One challenge I won't be posting about is the Chunkster Challenge. I was keeping an eye out so I could join on time but reading the rules it does not allow for YA books (which I think should not have been put as a limit since some of us love YA books and read them a lot) and it also restricts the chunksters from being Audiobooks (which I also think unfair but I can understand since some people don’t consider Audiobooks as a valid reading vehicle) – so that challenge is out! Running a bit late on this one but better late than never! In 2008 I joined several challenges that had mixed success. Even those I didn't complete I still enjoyed and I have plans on repeating the exercise again in 2009. Wrapping up the year I'll start with a run down of the challenges for 2008. 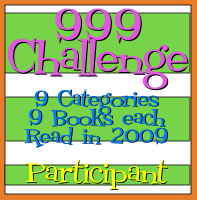 Triple 8 Challenge - 8 books in 8 categories in 2008. For my categories I had selected Anthologies, Audiobooks, Romantic Suspense, Paranormals, Published before 2000, Series Romance, Young Adults and New Authors. I completed all categories except Anthologies. It's the category that I suspected would give me the hardest time but I noticed that Romantic Suspense was also difficult to complete. 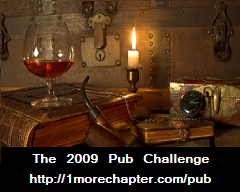 Still I really enjoyed this challenge and I will be joining it again in 2009. To Be Read Challenge (TBR) was another challenge I missed from completing. I was one book away. I honestly did not enjoy this one because the restrictions were too tight. You had to select your reading list out the door and you could not change those you selected. I am not always in the mood to read certain books and the ability to change my list is important to me. That is why in 2009 I'll join a lighter version of this challenge which will afford me some more flexibility. I think you should read what you enjoy and if I'm forcing myself to read something it feels more like homework that pleasure. I missed completing The Classic Romances by one book as well. This one was not bad but it became an afterthought more like - hey I have a challenge.. let me see if I have read any of the books on the list. I think I'll pass on this one. Chunkster Challenge - I didn't officially sign up for this one but I still did it. Had to read a few BIG CHUNKY books and all the Twilight books qualified. 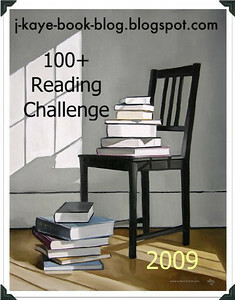 100+ Reading Challenge - Read 110 books in 2008 so I did get to meet this challenge as well. This wraps up the Challenges that I signed up for in 2008. I have not posted all the reviews for the books that I had pending but at this stage if the game it's unlikely that I will, so I thought I'd just post the wrap up and move on. 2009 Challenges will be up soon.